Start your Indian adventure by seeing some of the most famous attractions the country has to offer. 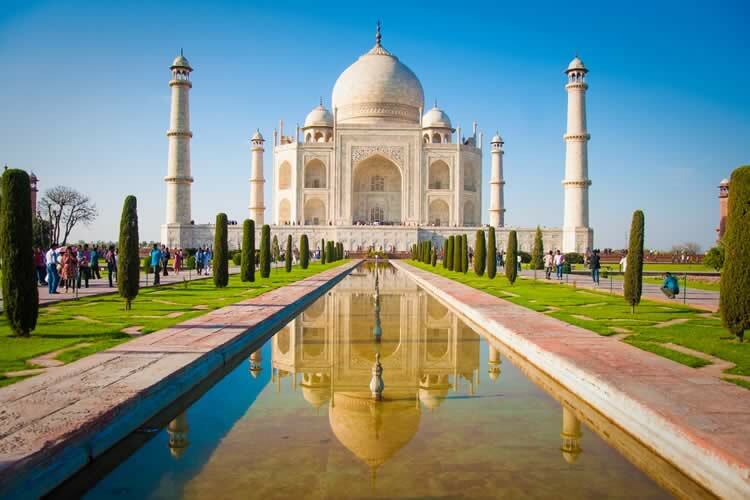 Your five-day Golden Triangle Tour will take you to Delhi, Agra and Jaipur to visit sights such as the Red Fort, the Jaipur City Palace and the magnificent Taj Mahal. 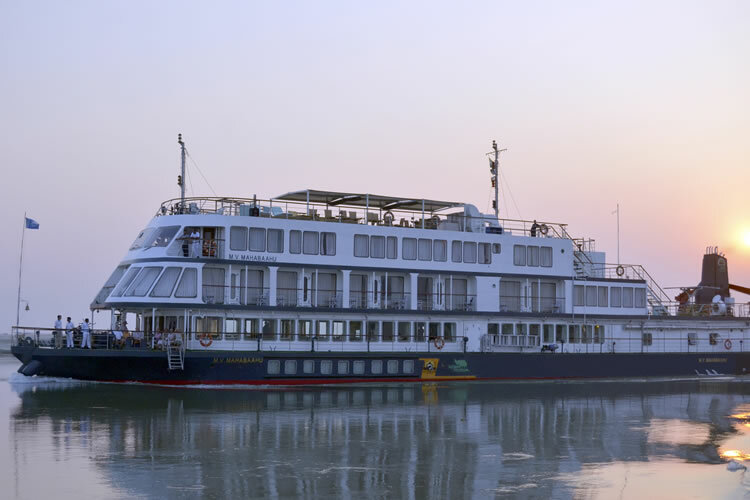 Once aboard the welcoming MV Mahabaahu, you will sail downstream from Jorhat to Guwahati, taking in the fantastic sights and sounds of the Brahmaputra throughout your journey. The day begins with a drive past the Red Fort & Jama Masjid followed by a Rickshaw Ride through the bazaars of Chandni Chowk. There after drive past the historical India Gate,the President’s estate and the Parliament House and visit Gandhi Smriti. The day is concluded with a visit to the capital’s most striking monument-the 70meter high Qutab Minar. Check out after an early breakfast and drive to Agra. Arrive Agra and check in to your hotel. Late afternoon visit the Taj Mahal, the greatest monument to love and one of the wonders of the modern world. Completed in 1652, skilled craftsmen from Persia, Turkey, France and Italy and some 20,000 laborers worked for 17 years to build this edifice, constructed by Emperor Shah Jahan as a mausoleum for his beloved queen Mumtaz Mahal. Please note: Taj Mahal remains closed every Friday. Check out after an early breakfast and drive to Jaipur, stopping at Bharatpur en route for a visit and lunch at the local restaurant. Bharatpur, India is a famous avifauna sanctuary that hosts thousands of birds, especially during the winter season. Over 230 species of birds are known to be resident. It is also a major tourist center with scores of ornithologists arriving here in the hibernal season. It was declared a protected sanctuary in 1971. It is also a World Heritage Site. Arrive Jaipur and check-in to your hotel. After breakfast, depart for a full day sightseeing tour of Jaipur including a visit to the Amber Fort and a photo stop at the Palace of the Winds, the Hawa Mahal in the morning. A visit to the City Palace in the afternoon, which now houses the royal residence and museums with a fine collection of textiles and costumes, armory, manuscripts and paintings, followed by a stopover at Jantar Mantar, wraps up the day. Explore the local markets or visit a jeweler’s workshop as Jaipur is most famous for its gems. In time check out from your hotel and transfer to the airport to board your flight to Guwahati. You will be received on arrival in Guwahati and transferred to your hotel. Arrive at your hotel and check-in. Arrival Jorhat and transfer to Neamati Ghat (with packed lunch) where an Assamese welcome aboard the MV Mahabaahu awaits us. After the essential safety briefing, check into your cabin. On the Donyi Polo Deck, we raise a traditional toast to the mighty Brahmaputra River that carves the valley of Assam. If Lucky, we catch a fleeting glimpse of the Gangetic dolphins and notice the sky flocked with bar headed geese, egrets and cormorants returning to their abodes on deserted islands as the sun lowers itself in the western horizon. Enjoy a talk on 'Sibsagar, the seat of Ahom Civilisation'that ruled the north eastern region of India for six centuries. A short talk on 'Tea in Assam'continues over High Tea. Enjoy a relaxed evening in the Soma Lounge followed by a sit down welcome dinner completes the day. After an early breakfast, start your day excursion to Sibsagar, the ancient city and capital of the Tai-speaking Ahoms who came in the 13th Century AD to the area from the north-east and were essentially of Tibeto-Burman origin. Thereafter, drive to a Tea Estate for a relaxed afternoon Tea and a traditional Assamese lunch with the estate family who have been involved in the tea business for over a century. Return to MV Mahabaahu by sunset and enjoy a relaxed evening before proceeding for dinner. As you have your breakfast, sail towards Majuli, a cosmos of Assamese culture where various philosophies co-exist and thrive. After, enjoy a talk on 'Majuli, the seat of Vaishnav culture’ and proceed in the excursion boats to the mainland where a drive takes us to a scenic corner of a ‘Satra’ (monastery) for an interesting cultural performance by Satriya singers and dancers. Next, proceed to Kamlabari Satra to witness the Vaishnavite priests dancing to the rhythm of cymbals, drums and chanting in the temple premise. Enjoy hot lunch on MV Mahabaahu and sail towards the closest Mishing Village. The Mishings live on the bank of river in 'Chang Ghars', houses with raised platforms. All Mishing women are expert weavers. We can buy ethnic colourful cotton weaves and indulges in a dhoti tying and Mekhela Chaadar wearing demonstration. After the Mishing Village visit, MV Mahabaahu heads towards Dhansiri Mukh where the waters of Brahmaputra and Dhansiri meet, while we enjoy a talk on ‘Assam, its geographical location & importance’. Later enjoy the evening under the stars on a deserted island and proceed for dinner. An evening on a deserted island with bonfire is always exclusive. Enjoy dinner on MV Mahabaahu. After breakfast on board, enjoy an interesting talk on ‘Kaziranga and the wild life in India’. Then step into your excursion boats to go to the shores of Bishwanath Ghat. As you walk through the village you are struck by the simplicity of life while the weaver women surround you with their silk and cotton weaves. Enjoy some happy interaction with them. Sail on for the next couple of hours and enjoy a relaxed lunch and reach Silghat. Take a short drive to the Kaliabore tea estate, which is a vast undulating expanse of land with tea bushes. Proceed to the tea factory to see the processing of the Assam Tea and getting an insight into all that goes into preparing a cup-of-tea. Return to where the ship is anchored. Close by a co-operative Jute Mill is an interesting place to understand how the Jute fibre takes the form of very eco-friendly gunny bags. At sunset, enjoy a cultural evening on the ship followed by an early dinner. Early morning wake up call and after a hot cup of tea/coffee, drive out towards the Kaziranga National Park. The most prized inhabitant of Kaziranga is the Greater One-Horned Indian Rhinoceros, but the Park is home to as many as 180 different mammals including wild elephants, tiger, deer, Asiatic wild buffalo and a rich variety of birds. Reach the Kohora Mihimukh range of the National Park and are ready to start your morning adventure; once-in-a-lifetime elephant-backed safari where you search for the elusive rhinoceros, tigers, swamp deer and hog deer and more and a large number of very interesting birds. The park never ceases to surprise us. After breakfast at a resort in Kaziranga, drive on to Bagori, the Western Range of Kaziranga and get into the open jeeps for some more wild life adventure and an extensive coverage of this magnificent park. Return to MV Mahabaahu for a leisurely lunch and a relaxed afternoon. In the evening, proceed for a traditional Assamese theme dinner. Enjoy a relaxed breakfast onboard whilst the crew organises your transport to the Kamakhya Temple - situated on the Nilachal Hill in the western part of Guwahati city in Assam. This Hindu Temple is devoted to the eternal feminine - the goddess of desire whose name is Kama Khya. It is an important pilgrimage destination for general Hindu and especially for Tantric worshipers. Bid farewell to your fellow passengers as you prepare for your onward flight. With a packed lunch, drive to the Kamakhya Temple (flight time permitting). This Temple is devoted to the eternal feminine the Kama Khya, goddess of desire. Bid farewell to the land of Kamakhya and drive to the airport to board your onward flight. Terms and conditions apply. All offers are subject to availability and operators booking conditions. Prices are based on cruise only & two passengers sharing the lead in grade stateroom unless otherwise stated. All discounts have been applied to fares displayed. ^Itinerary operates upstream, please call to confirm. *Savings of up to £680pp have been applied to fares displayed and are valid on selected departures booked by 31st May 2018. We charge a one-off small £20 booking fee. That’s it - nothing more and no add ons when you pay the balance. E&OE. ABTA P6710.